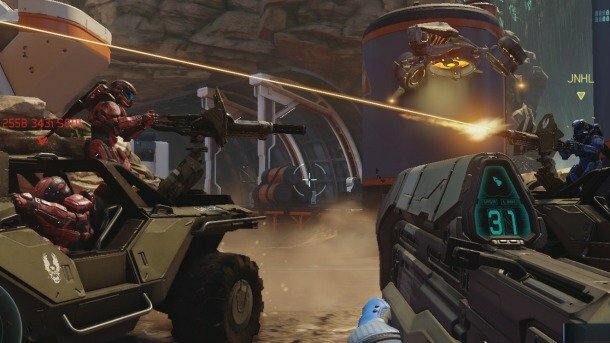 Considered by many to be a staple of the series, 343 Industries has explained its reasoning for dropping the beloved split-screen feature in Halo 5: Guardians via a recent blog post. Taking to Halo Waypoint, the studio noted that the tough but necessary decision had to be made, lest the inclusion of split-screen compromise the overall playing experience. That’s according to Executive Producer Josh Holmes, who empathized with long-time fans of the shooter franchise, but admitted that the creative team couldn’t shoehorn in the feature without limiting the scale and scope of Guardians. “The decision to remove split-screen support from Halo 5: Guardians was one of the most difficult ones we’ve ever had to make as a studio. We know that for many of our fans, Halo has meant playing together with friends in the same room. We all have great memories of past Halo split-screen multiplayer matches. Over the past few years, the feature itself has flirted in and out of fashion, seemingly fighting for a foothold as online gaming only grows in prominence. That said, many developers have carried the torch for split-screen, with the likes of Rocket League and DICE’s Star Wars Battlefront making room for the couch-friendly mode. In the case of Halo 5: Guardians, split-screen was simply a casualty of the studio’s ambition. Halo 5: Guardians will deploy exclusively on Xbox One on October 27. In the meantime, tell us, are you disappointed about the lack of split-screen in 343’s upcoming sequel?